What we do to treat cockroaches.. 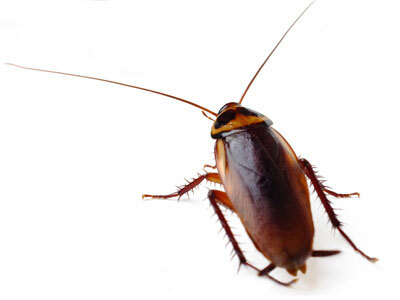 Sanitation: You can reduce food and water available to Cockroaches. Even small pockets of moisture can keep Cockroaches nearby as they can go without food for over a month. One way you can help is to avoid keeping rubbish indoors overnight. Proofing: We can advise you on ways you can help to proof your home against Cockroach entry. This may include simple measures such as fixing mesh over holes to prevent Cockroach entry and to seal cracks and crevices. Call now and we’ll work with you to control your Cockroach Problem – Guaranteed!